"You're probably asking yourself, what the heck is this? And, yeah, you are 100% right to ask yourself that. This is Minecraft, and everything you see around me right now is a randomly generated world." Minecraft was first revealed to the public in 2009, but it would only really take off with the release of game's Alpha version in the summer of 2010. It was primarily word of mouth that led to its huge, huge popularity, and a very important element of that were the very first let's play series. 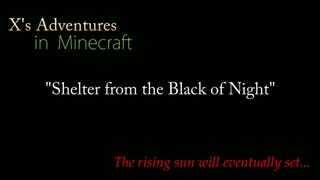 X's Adventures in Minecraft, debuting on August 4, 2010, was one of these early, pioneering let's plays. What made X's Adventures so compelling was that it's a story of an everyday guy getting dropped into this scary new world, slowly but surely exploring it and taking on its dangers. Since Minecraft really was so new and scary at the time, people who watched the series could learn how to play with X, and apply what they saw to their own playthroughs. It's this communal learning experience, in combination with the let's players own personalities, what made these early series so popular—and it's why newer series, although they may be fun in their own right, will perhaps never quite have the same magic the older series had. X's Adventures in Minecraft eventually ended in 2012, after a run of 69 episodes. Hopefully it, and similar, venerable series, like SeaNanners' Welcome to Minecraft and paulsoaresjr's Minecraft Tutorials, will always be here to show us where the story of Minecraft and its let's play community really got started.